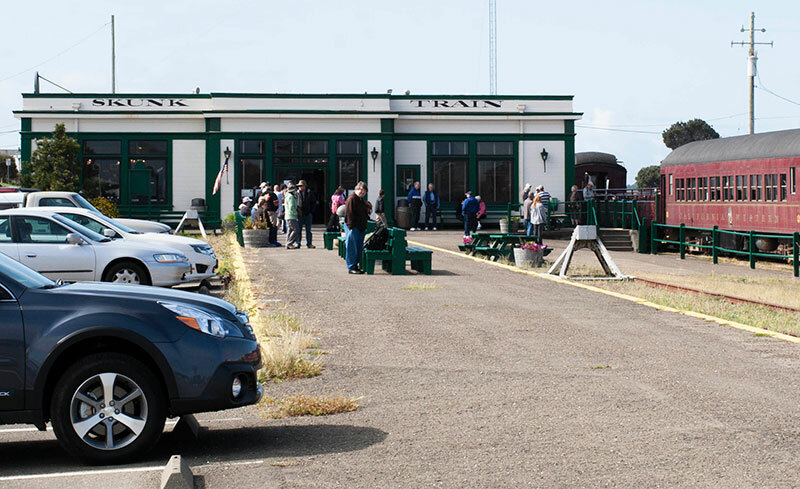 The Skunk Train’s historic Train Depot is located just off of Highway 1 in downtown Fort Bragg. Inside, you’ll pick up your tickets, browse the gift shop, or use the restrooms. To avoid disappointment, it’s suggest that you purchase tickets in advance and arrive at least an hour before departure. Boarding begins 30 minutes before departure, with the first on board getting the best seat selection. Lefthand seats have the best views for the first 20 minutes until you reach the tunnel. 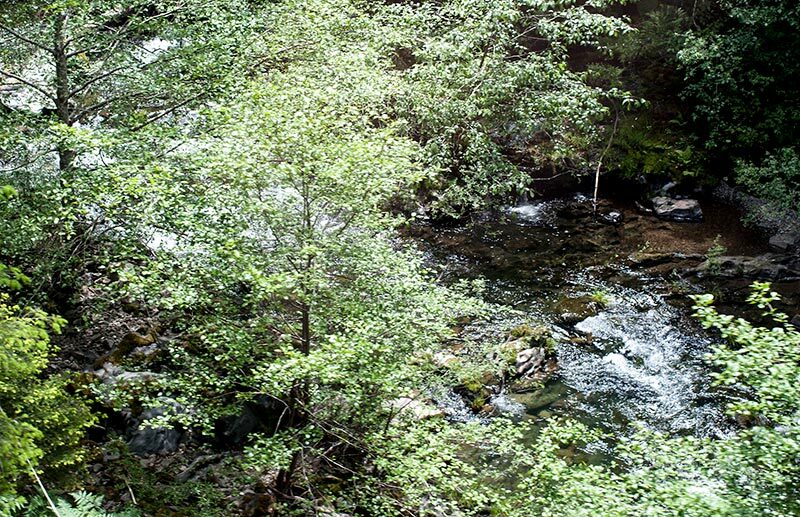 After the tunnel righthand southern views offer the more scenic riverside views. 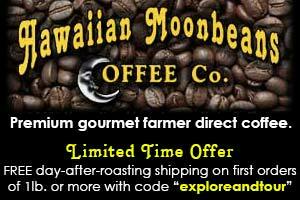 At the half-day tour’s midway point, you dis-embark as the engine is turned around for the return trip. 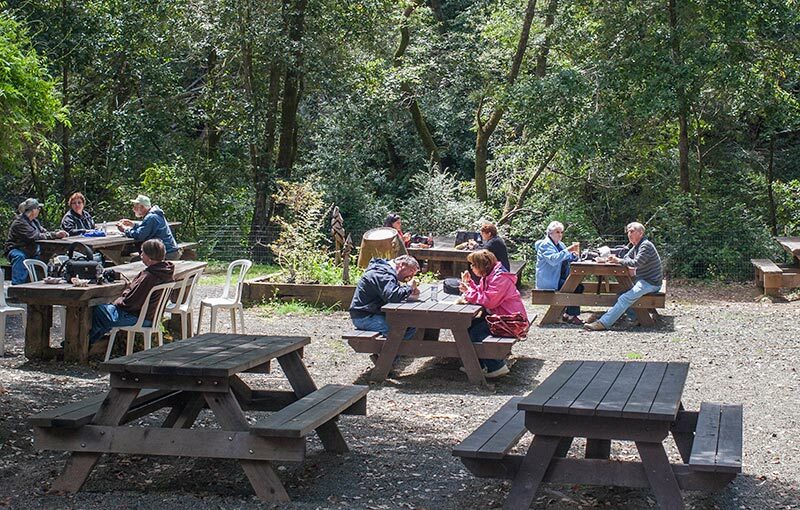 Here, during a half hour rest stop, you’ll find reasonably priced BBQ lunches under the giant redwoods. Before you’re return trip you can visit the restrooms and small gift shop. Re-boarding for the return trip is a good time to switch sides on the train for an alternate view on the way back. The accelerated return trip is the perfect time to venture out on the roofless coach to take photos or videos of your favorite scenic spots that you passed earlier. 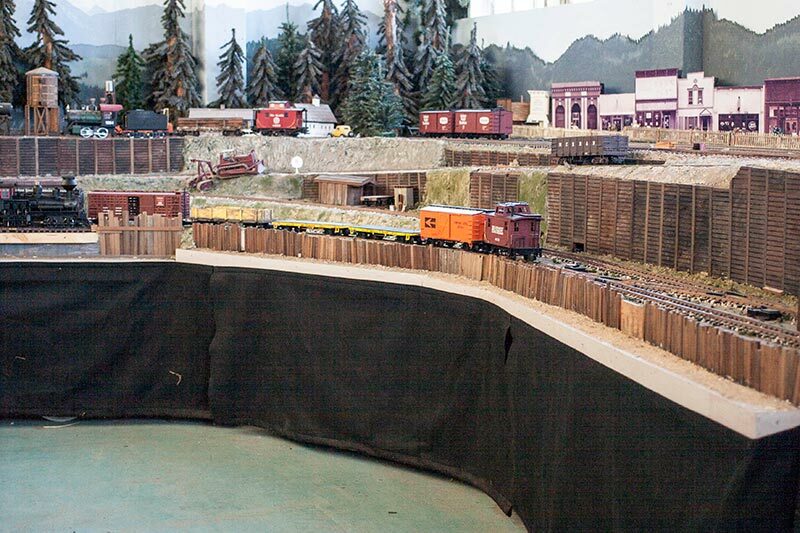 Upon returning to the station, ask if the model railroad exhibit is open. If so, they’ll direct you across the railroad tracks to the free model railroad exhibit. 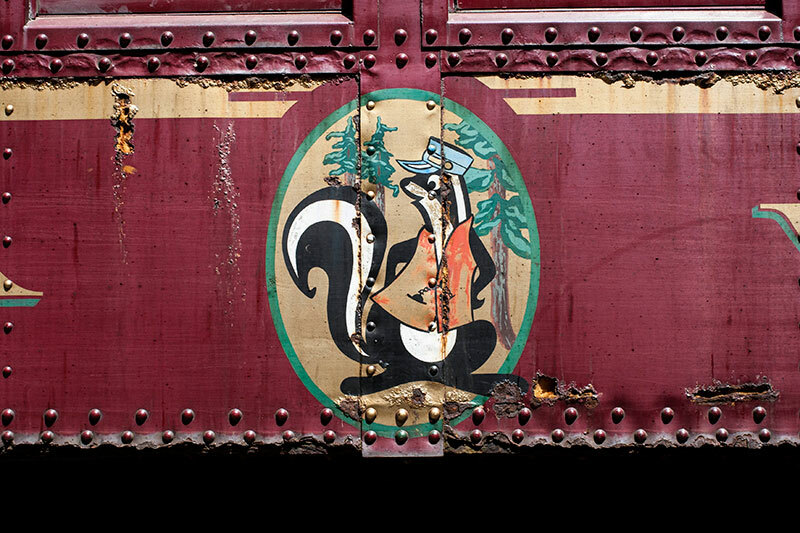 While small, the exhibit is free for Skunk Train riders and filled with the artistic love and creativity of its local volunteers. 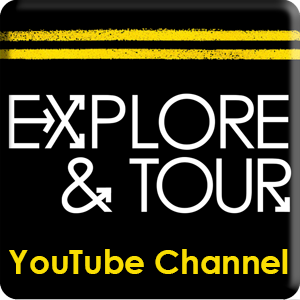 Visit their website to view the wide variety of full and half-day train tours available. While their diesel train is mainly used to pull the historic coaches, the steam engine is used during some weekends and busy seasons. 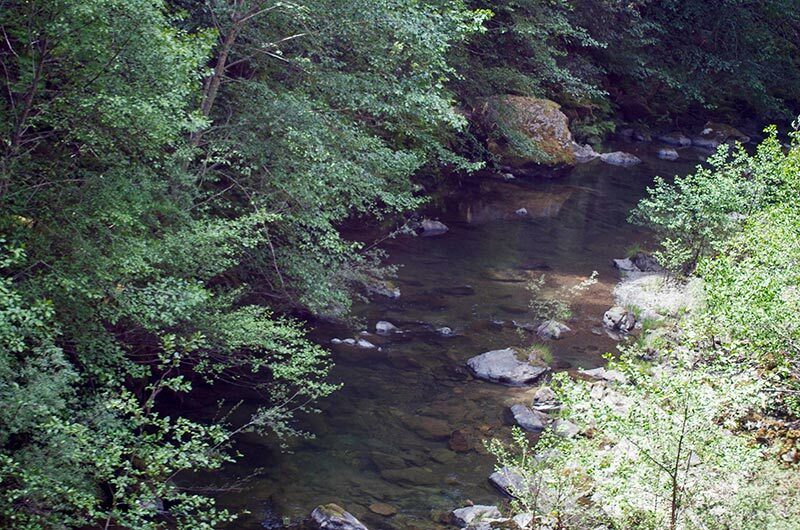 During peak seasons they offer multiple trips, including to the town of Willits. You’re advised to purchase nonrefundable tickets online in advance. While more train coaches are added to increase capacity when needed, holiday crowds and special events often leave tourists disappointed when they’re turned away. Remember to arrive at least an hour before departure and to get in line for boarding a half hour before departure for good seats. 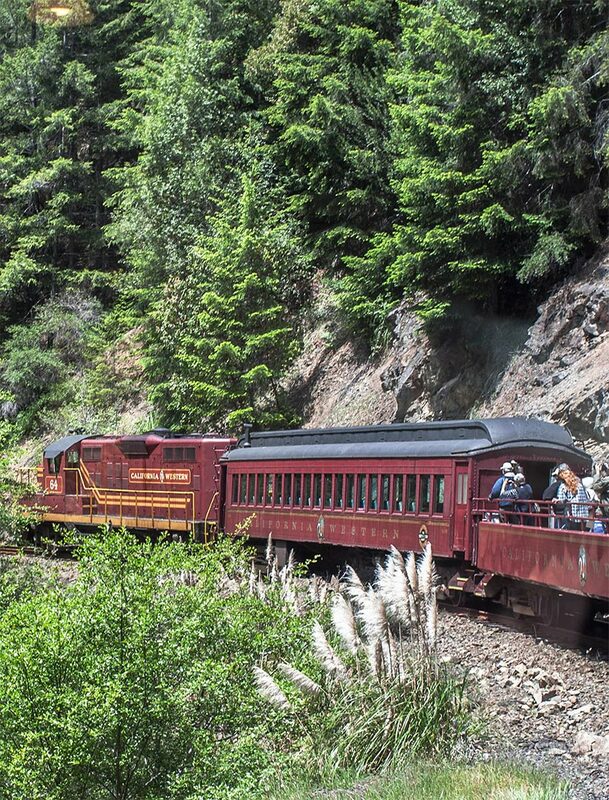 The lengthy journey required to reach the Skunk Train necessitates pairing it with a few neighboring attractions for a worthwhile journey. 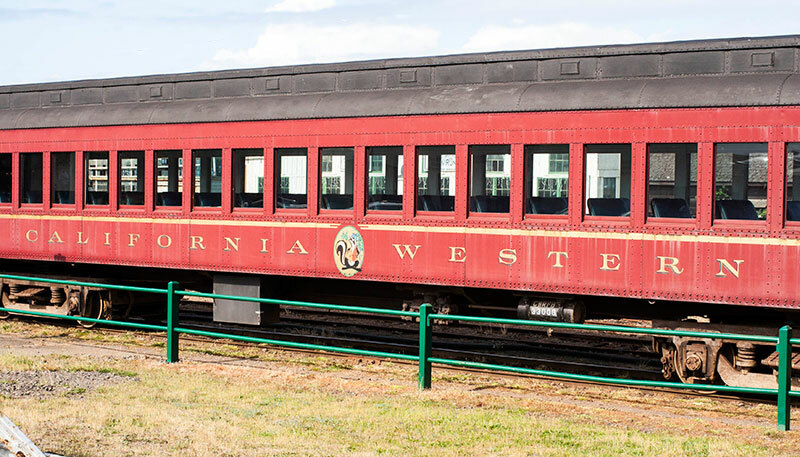 Fort Bragg – Home to the Skunk Train, Fort Bragg provides the affordable amenities of the largest coastal city in the region. 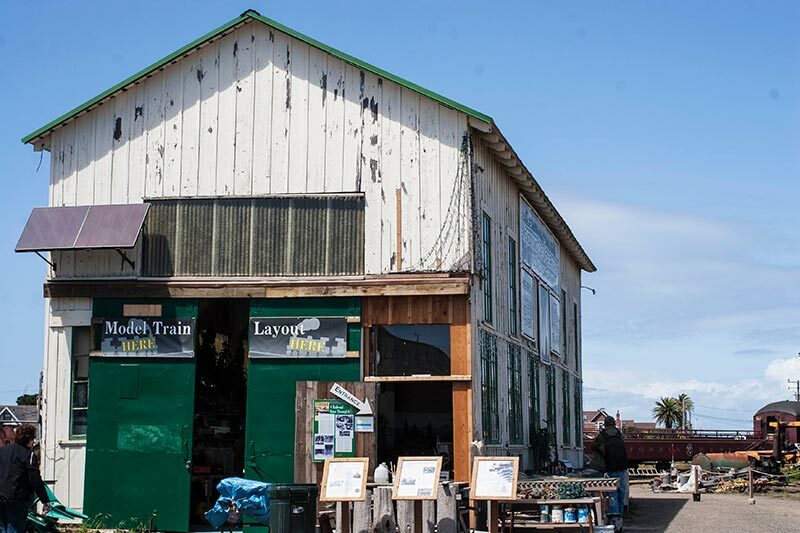 Affordable restaurants, hotels, gas and supplies are found alongside attractions such as Noyo Harbor and Glass Beach. TIP: We always try to book inexpensive rooms overlooking Noyo Harbor at the Harbor Lite Lodge. Mendocino – Perched high on an ocean cliff, Mendocino’s historic downtown is the most famous romantic getaway in the region. Historic architecture, galleries, restaurants and cliff hugging paths have made this artist colony a popular tourist destination for over a half century. 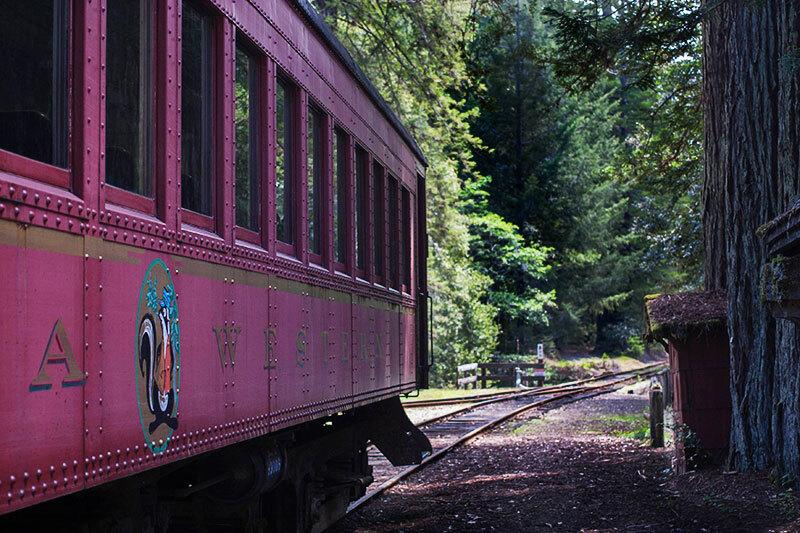 Mendocino is less then a 10 mile drive from Fort Bragg and the Skunk Train. Bodega Bay – If you’re taking the long but rewarding coastal highway from the south up to Mendocino, Bodega Bay makes for a great pit stop to beak the monotony of the long ride. 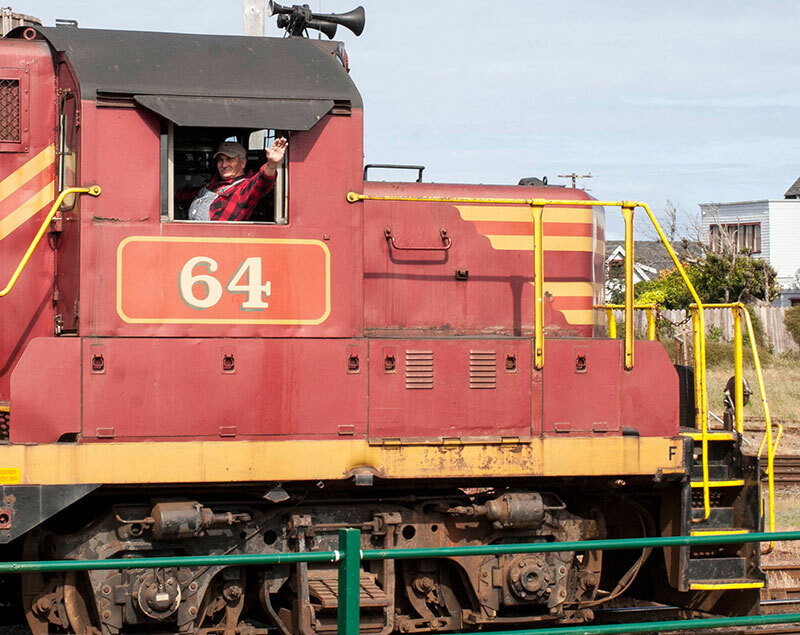 Santa Rosa – If you’re taking the quicker HWY 101 inland rout to Mendocino from the south, the small town of Mendocino is a great place to fill up on gas, grab a bit to eat, and stroll the historic downtown and railroad districts.